Even with all of the tasty organic veggies and hormone-free meats you could want at your fingertips (that is, if you’re a Passanante’s customer :),) resisting the urge to indulge in the not-so-good-for-you foods and drinks during holidays, world-travels and weekends can sometimes be futile. But hey, we’re only humans so there’s no reason to beat yourself up after a little bit of fun! At Passanante’s Home Food Service we believe in balance. It’s no secret that staying in and preparing organic vegetables and hormone-free meat meals at home is a healthier alternative to eating out, but sometimes you have to live a little — and that’s where detox foods come in. As you embark on a new work week following St. Patrick’s Day weekend, you may feel a little more bloated, foggy, or sluggish than usual as your body tries to filter through the foods and drinks from your weekend celebrations. No problem! There are dozens of great detoxifying foods out there that you should try to incorporate into your diet to help get you feeling like your old self. Check out these three detoxifying foods that your liver loves and help kickstart your cleansing process by working these into your meals this week. 1. Garlic – The allicin and selenium found in garlic are two natural compounds that aid in liver cleansing. Also, The sulphuric compounds found in garlic make this tasty ingredient a powerful antiviral, antiseptic and antibiotic which can help the body purge free radicals and improve liver function. 2. 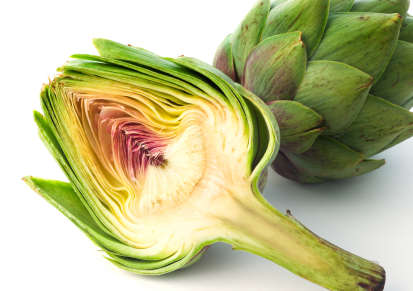 Artichoke – The cynarin found in artichokes is known to help prevent indigestion, assist the digestion process, increase bile production, and purify the liver and gallbladder. Additionally, artichokes work as a mild diuretic for the kidneys, which helps to remove toxins from the body once the liver has filtered them out of your system. 3. Organic Cabbage – Believed by the American Cancer Society to reduce the risk of cancer, organic cabbage is an incredibly powerful detoxifier. Packed full of vitamins A, B, C and E, cabbage has all of the necessary nutrients to help effectively cleanse the liver. This entry was posted in Food Tips and tagged detox, detoxifying foods, Food Delivery Service, Hormone-Free Meat, Organic Produce by Passanante's Home Food Service. Bookmark the permalink.